Male Dog Names - Find one that will make your friends jealous! Male Dog Names... Make Him Proud! Here is a comprehensive list of male dog names and male puppy names that owners have named their pets, from popular and common, to unique and unusual. I find this the most exciting part of getting a new dog! My own dog is a mixed breed (part Shepherd, part hound) and we named her Justice. I loved the name, and it made her sound tougher than she really is... read about how Justice came to us here. And yes, it is possible to change a puppy's name if you don't like the one that he or she came with. Justice came to us as "Princess", and that just really didn't sound right to me. It might take a little bit for the new name to stick, but it's do-able. That being said, it can be confusing for your dog to change its name, especially if he is older. It can help to pick a new name that sounds quite similar to the old one - "Justice" sounds similar to "Princess", so there were no issues there! Whoops... are you maybe looking for female dog names? There's another great page with lots of awesome names for the girls! With such a comprehensive list, I'm sure you'll find a male dog name that fits your new family member just right, whether you're looking for popular dog names or unique. Does your dog have a great name not in this list? Share it with the rest of us in the comment box below (and maybe how you came up with it or chose your dog's breed, too)! Oh, and don't stop here... if you're looking for a name for your new dog or puppy, that means you're probably looking for information on raising and training him, as well. This whole site is dedicated to helping you and your dog (Paco, Laser, Jake - whatever his name is!). A good place to start? 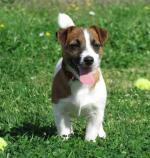 Dog care and training. 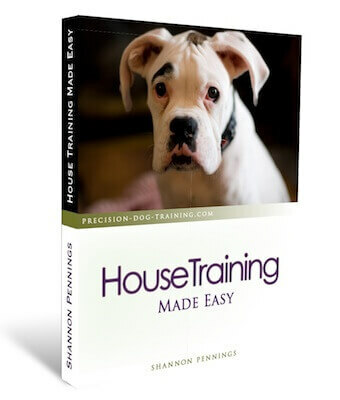 Or maybe you need a quick, straightforward guide to house training your dog. Whatever you're looking for, you'll find it here! I'm always adding to this site, so if it's your kind of place, why not bookmark us and visit again? We'd love to see you! Links to new and updated pages are always found on our Blog Page.